Scottish Natural Heritage (SNH) manage Forvie National Nature Reserve. 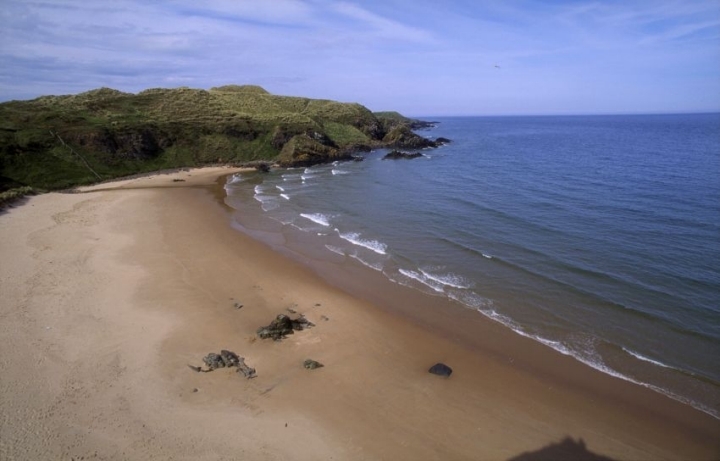 The haunting dunes of Forvie stretch along the North Sea coast, a towering sandy desert. In some places tenacious marram grass has tamed the moving sand and the dunes have been anchored into patches of dune heath. Lapping against the sand, the Ythan estuary runs along the edge of the Reserve and is home to the largest colony of breeding eider ducks in the UK. During the summer months terns hover, dive and twist in the air. Four species of tern nest in the dunes here, whilst inquisitive seals can be seen further out in the water. People have been using this beautiful area for over 8000 years, but it’s been a constant battle with the sand. The ancient church at Forvie was smothered during a massive sand storm in the 15th century.